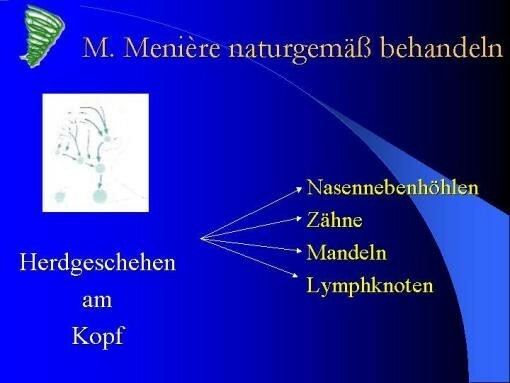 Presentation given on March 25th 2006 in Waiblingen/Germany for members of the Meniere's disease self help group KIMM e.V. 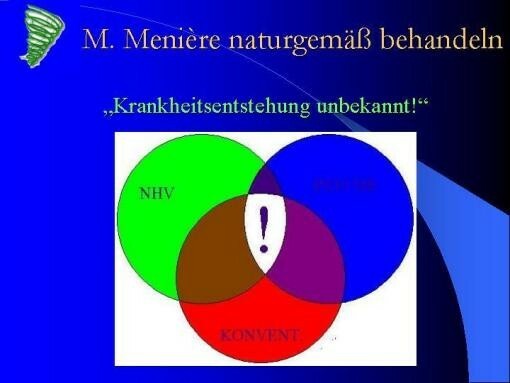 A presentation about the MeniereClinic tratment concept, as realized in the Prienamed center in Prien/Germany. 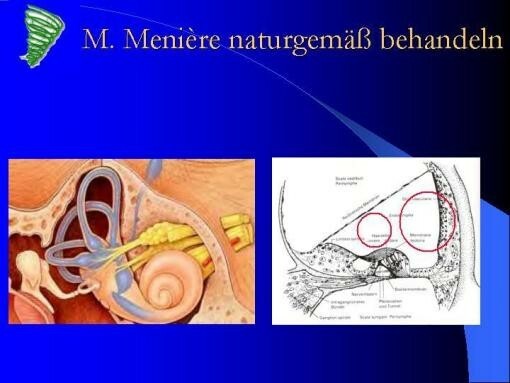 "While the cause of Meniere's disease is still unknown, we overlap different fields of medicine to gain information about a successful treatment." 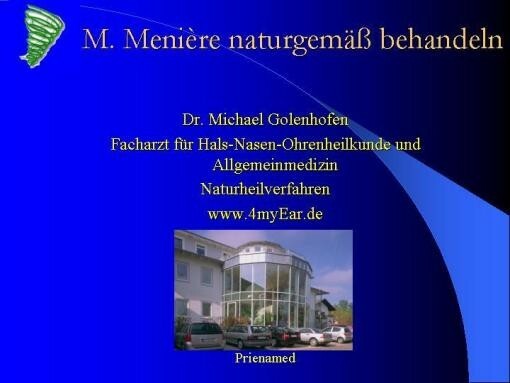 "At present we know, that the production and resorption of endolymphatic fluid in the inner ear is obviously involved in the pathology of this disorder." 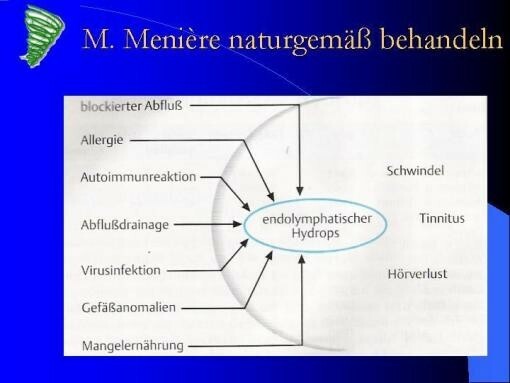 Reasons for increased production or reduced absorption can be an anatomical blockage, immunological disorders, nutritional deficits and viral infections. 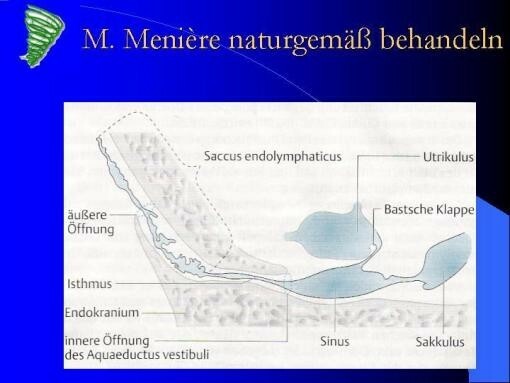 The saccus endolymphaticus is a very subtle structure, which absorbes the endolymphatic fluid. It is located in a cave of the dura mater. The unflexible dura mater creates a closed system that communicates movement changes within itself. This "cranio-sakral system" reaches from the brain to the sacrum. 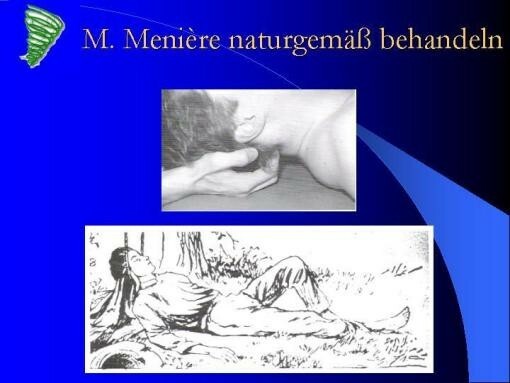 The diagnostic and therapeutical method, that influences this system is called Cranio-sacral osteopathy. 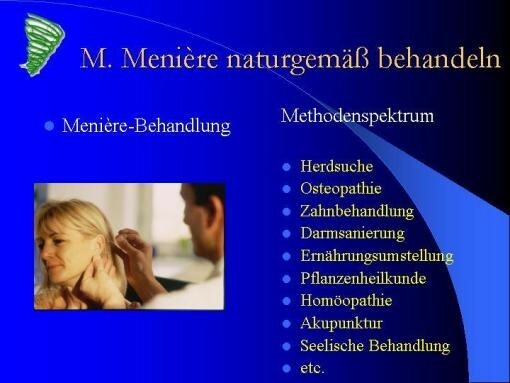 ... ,which are connected to TMJ and cranio-vertebral dysfunction. The therapy includes osteopathy and acupuncture. 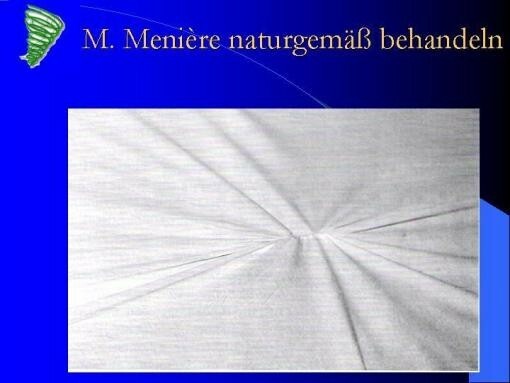 One precondition of a sucessful Meniere-therapy is the treatment of chronic inflammatory processes of teeth, tonsils, sinuses and lymph nodes. 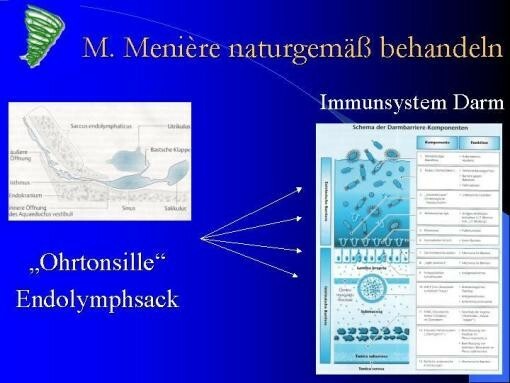 Also important is the immunological treatment of the "gut associated lymphoid tissue (GALT)" through nutritional therapy and specific immune therapies. 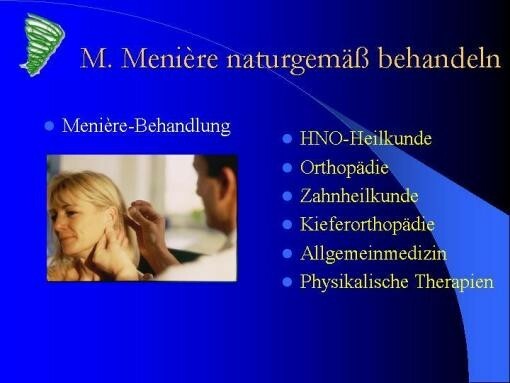 Modern Meniere-therapy is a team work of ENT-physician, dentist, orthopedic physician and physical therapists. 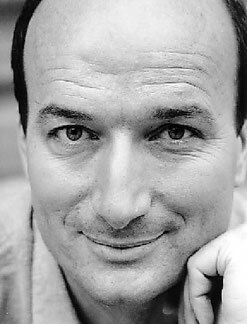 The spectrum of treatment methods contains conventional as well as naturopathic techniques.